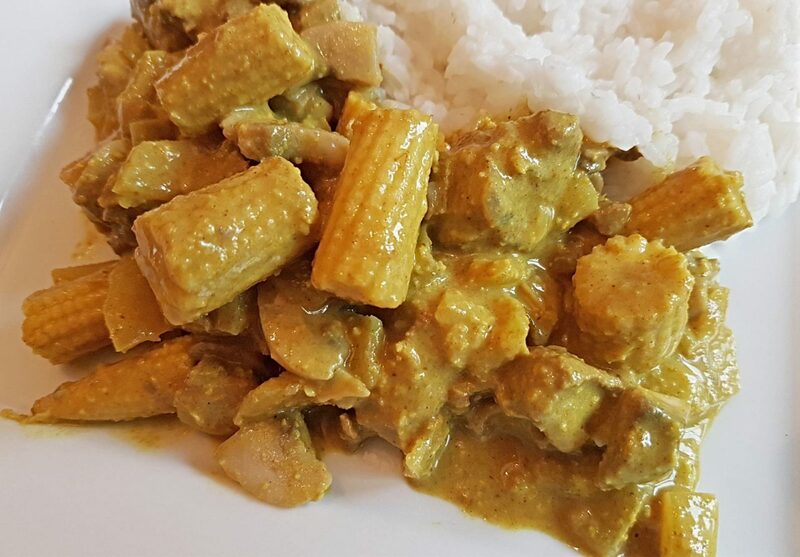 One of our go-to quick and easy family meals is curry. 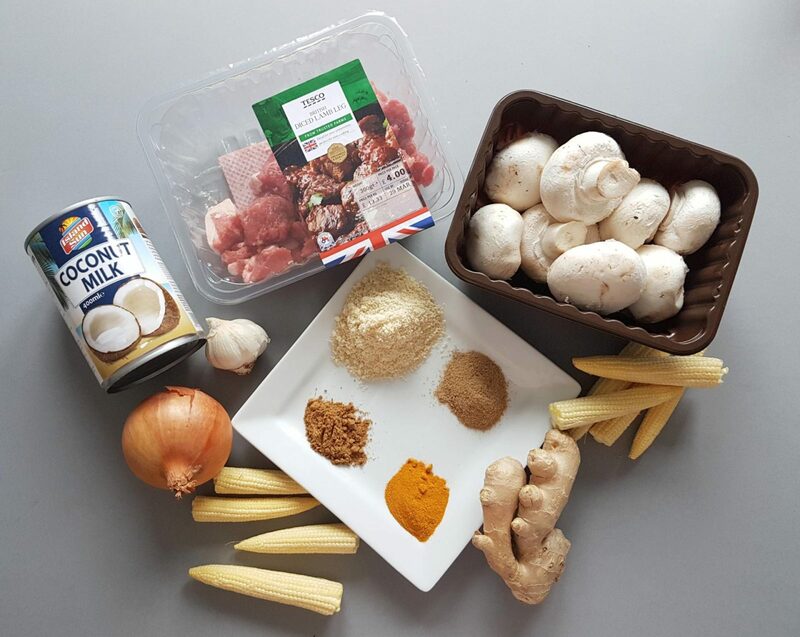 The little man isn’t a huge fan of spice so we opt for milder versions and tend to vary between beef or lamb and the types of veg we include but it’s always a filling, tasty meal that takes no more than 30 minutes to prepare and cook. 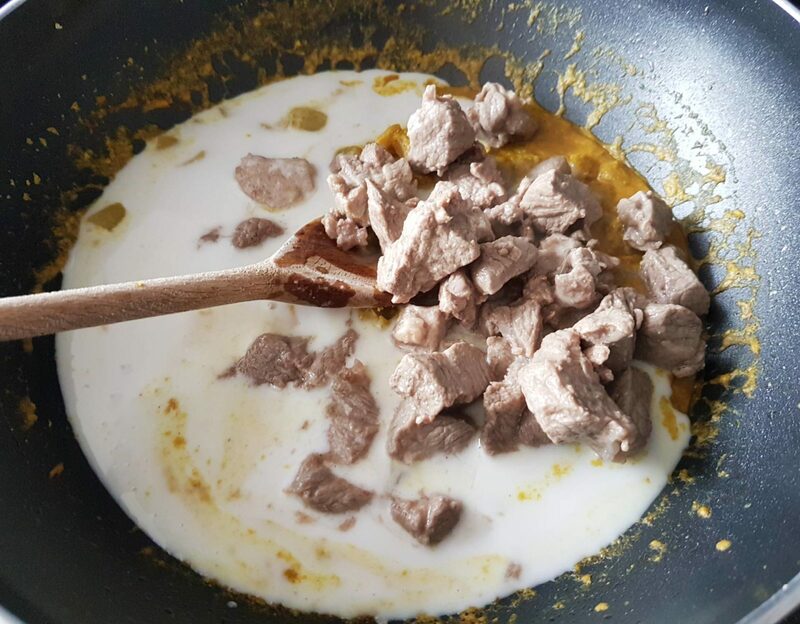 We tend to opt for lamb or beef because they’re both naturally rich in protein but I decided on lamb for this recipe because it provides 7 vitamins and minerals ( Niacin, vitamins B6 and B12, Zinc, a source of Potassium, Phosphorus and pantothenic acid) which can help reduce tiredness and fatigue and being almost 35 weeks pregnant, my tired body can do with all the help it can get! 1 teaspoon of chilli flakes ( optional, depending on how spicy you like it). 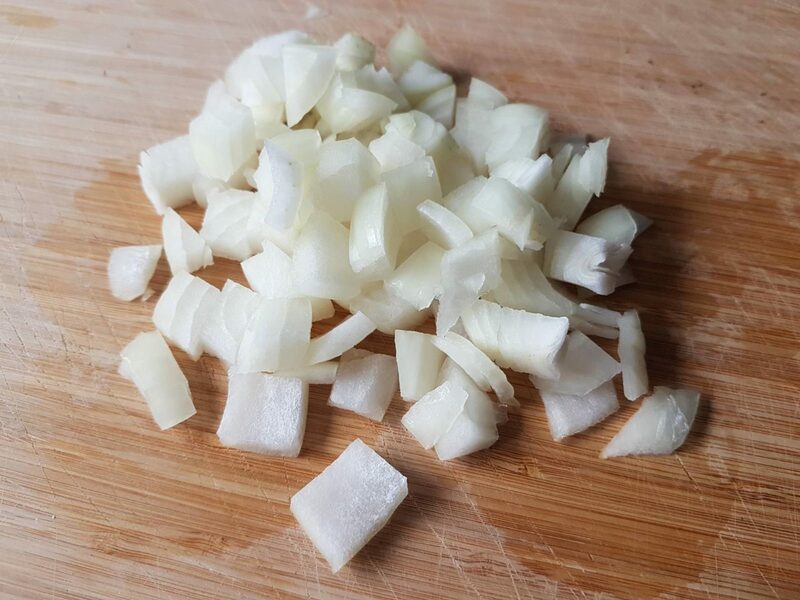 Chop the onion into chunky pieces and fry with a little Olive oil until soft but not brown. 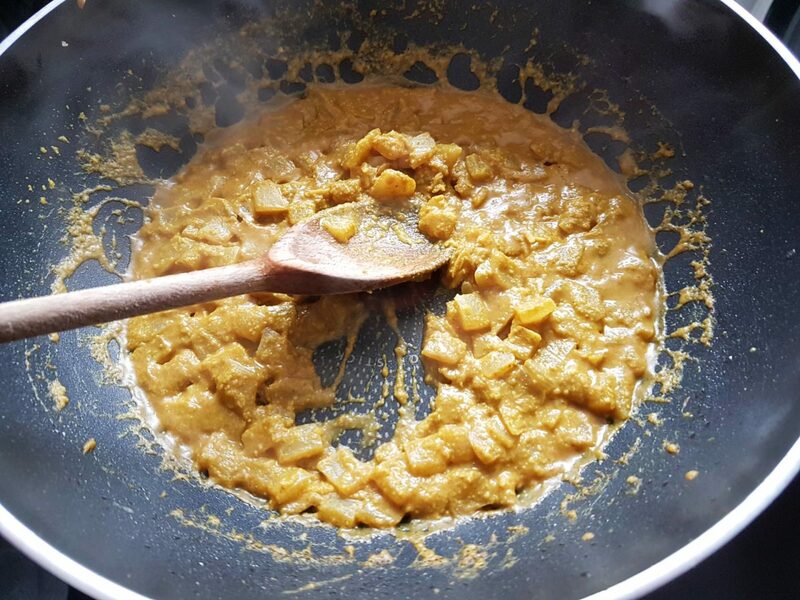 Add the grated ginger, garlic, Garam Masala, Ground Cumin, Chilli flakes and Ground Almonds to the pan and heat for around 3 minutes so that it makes a relatively thick curry paste ( add a touch of water if it becomes too thick). In another pan fry the lamb until browned off nicely. Add the chopped mushrooms and baby corns and fry gently for a couple of minutes. 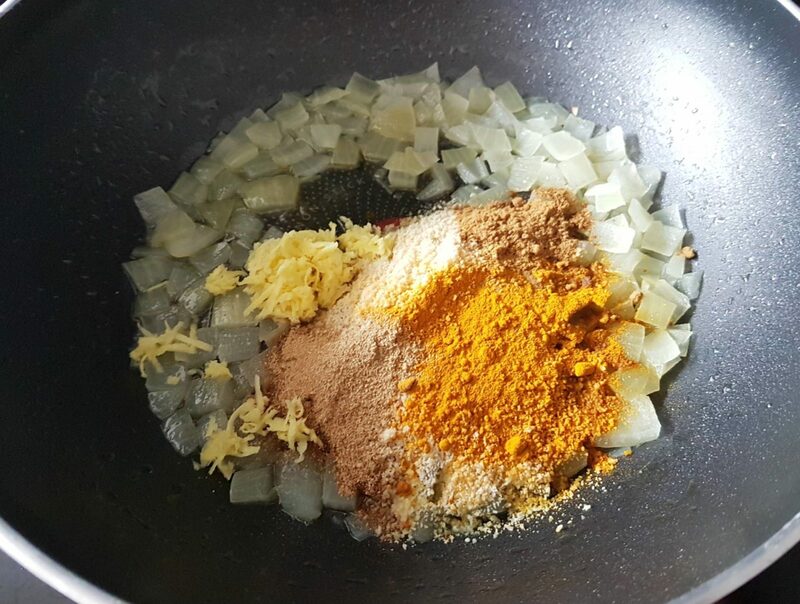 Add the lamb and veg to the onions and curry paste and add around 3/4 of the tin of coconut milk ( keep the remaining in case you wish to water down the sauce a little). 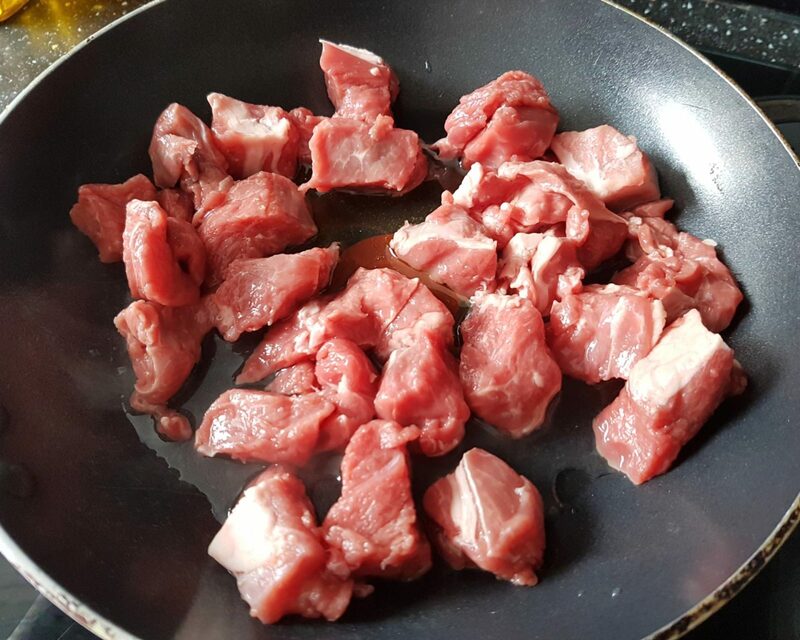 Bring the liquid and lamb to the boil and then turn down the heat to simmer gently for around 10 minutes. Make sure the sauce doesn’t stick, add some more of the coconut milk if necessary. 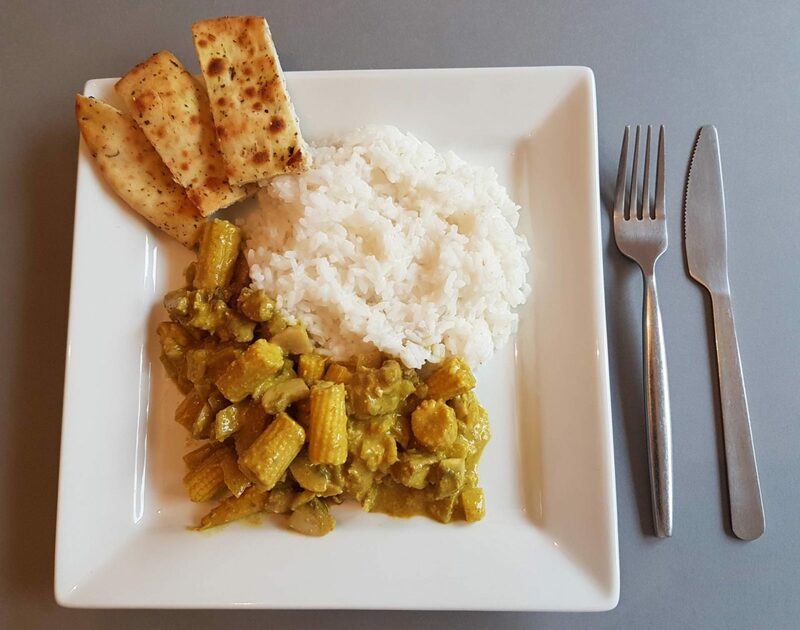 Once the consistency is right for you, turn off the heat and serve up with rice and Naan bread ( you can make your own if you wish but I tend to buy from the super market which saves time ( and effort!). You can whatever veg you like, it’s the perfect recipe to use up any leftovers and we often have it on a Monday to use up any Sunday Roast lamb or beef. 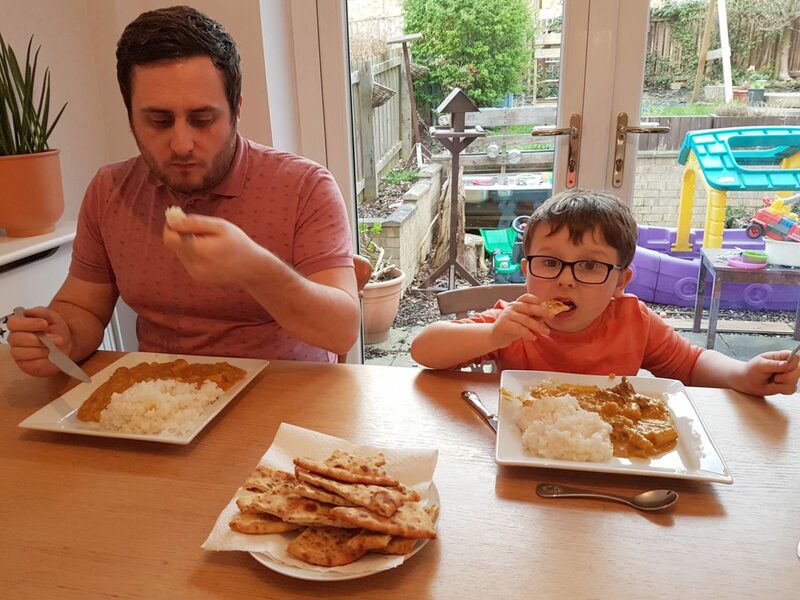 Curry seems to be a popular choice in our house and always seems to be a hit. 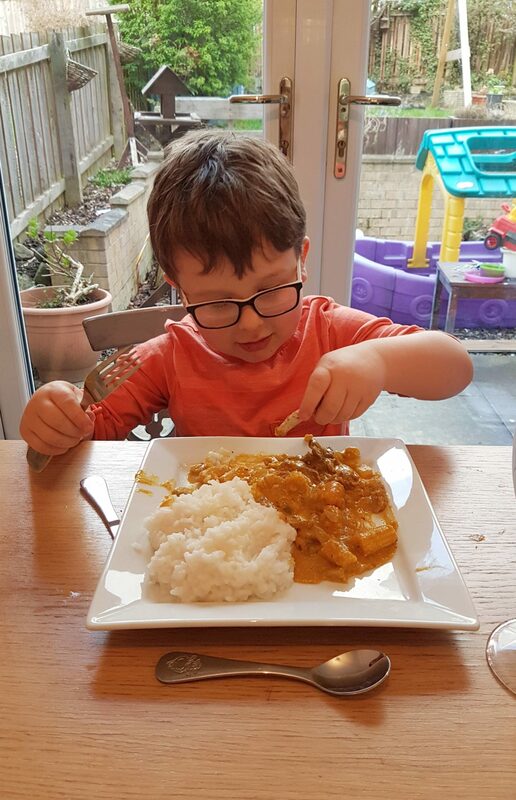 The little man absolutely loves lamb so wolfed down his Lamb Korma. 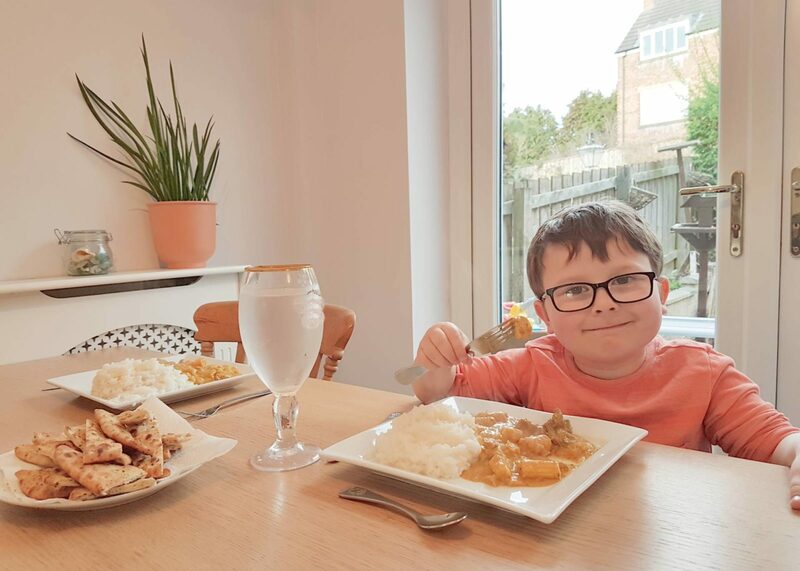 It’s a great way of disguising healthy vegetables that the little man insists he doesn’t like such as peppers and onions and ensuring he get’s a tasty meal filled with nutritious meat and veg. 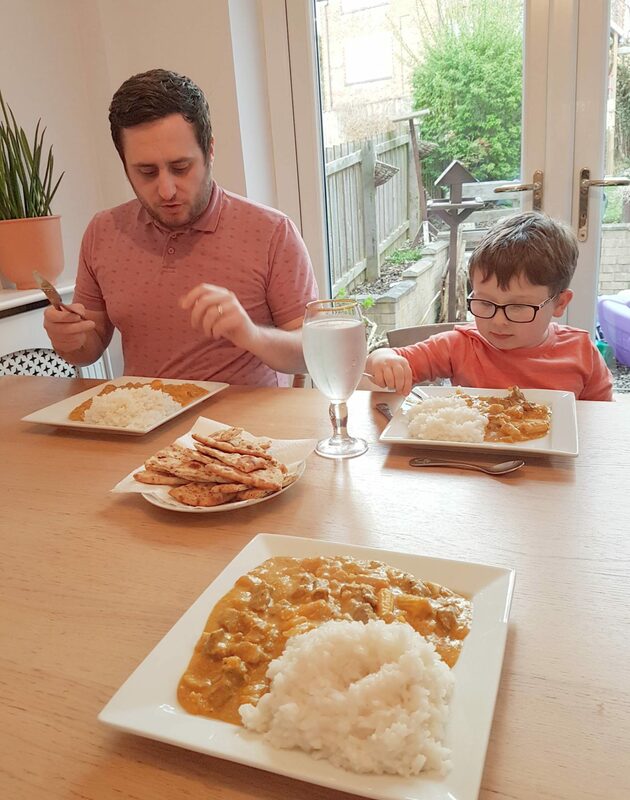 What are your favourite quick and easy family meals? I was provided with a £10 Tesco voucher to put towards the ingredients used in this recipe.